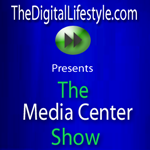 Ian Dixon interviews Zune Thoughts' own Jason Dunn to discuss why the Zune HD is truly an HD device, media center interoperability, and integration with Xbox 360. Just like last time, Jason and Ian have a great back-and-forth banter and are very informed on tech trends of the day. Check it out!